I am so thankful I chose to study in London. Immersing myself in British culture has been an adventure and I am so grateful to have been able to do so in such a beautiful, historic place. I feel extremely lucky to have been able to call such a lively and diverse city home. My decision to study abroad at all was made on a complete whim: I emailed my favorite professor one day about it and he told me he studied overseas and it was the best choice he ever made. Signed, sealed, delivered. I also love travel so, truthfully, I didn’t need much convincing. I studied the study abroad page so carefully that I memorized its content. From there, I narrowed down my choices and eventually had London in the top spot. Less than two weeks after I applied, I was accepted — the rest, as they say, was history. 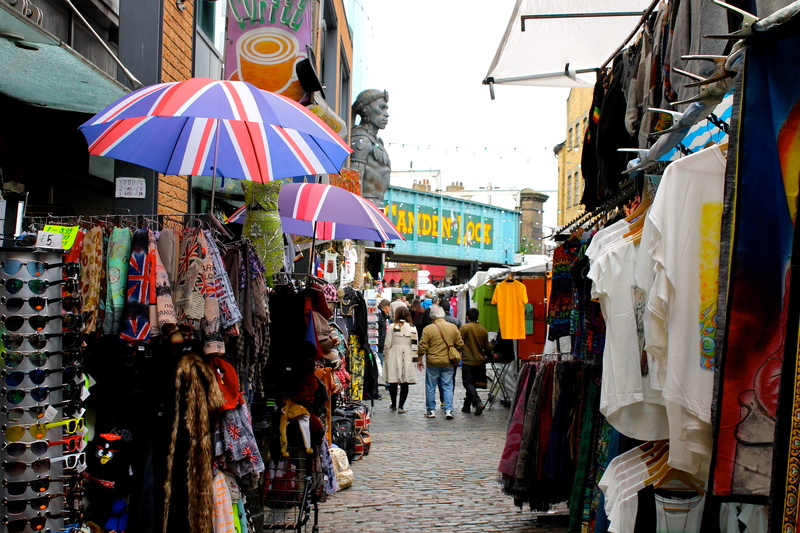 I came abroad with two main goals: to get to know London and to see Europe. I like to think I accomplished both — I traveled almost every weekend and spent my weeks taking advantage of what my home city had to offer me. Plays, museums, pubs, restaurants — I saw as many as I could as many times as I could. I made British friends. I grew a working network. 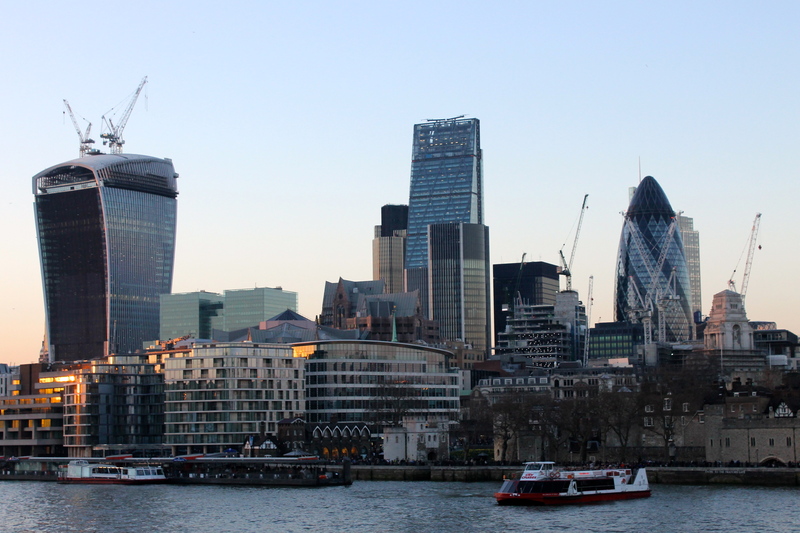 My internship, seven weeks at an absolutely amazing company in downtown London, was an extremely important part of my overall experience. Without it, I wouldn’t have really understood what it means to be British and what Brits think of Americans. I also wouldn’t have seen as much as the city as I did, considering how many outings my colleagues and I took. I also mastered the London Underground due to my commute. Outside of England, I saw different cities and different countryside towns. Ireland, Scotland and Wales are all stunning and surprisingly different facets of the United Kingdom. Outside of Great Britain, I was lucky enough to see parts of Hungary, the Netherlands, Spain, Portugal, France, Italy and Vatican City. While I can’t pick a distinct favorite, there wasn’t one place I disliked. In addition to new experiences through my visiting various places, traveling in and of itself was important: I learned how to travel on a budget and in the most efficient way. I also learned how to travel with big and small groups and where and when each was possible. It can be easy to grow tired of what you know so well, easy to be bored with the routine and with the usual. I came to London with the hope of renewing my appreciation for the world around me. I wasn’t depressed or unhappy (far from it), but for whatever reason, that passion had escaped me slightly — unpaid internships, countless hours clocked at work and my demanding extracurricular schedule left me exhausted. My London experience has strengthened my appreciation for home and for my surroundings, and has inspired me to go out and see more of the world. I have so many more places I hope to travel to and so many things I want to accomplish in the coming years. For now, I’m looking forward to spending some time back on American soil. Home might not be uncharted territory, but it’s an adventure in its own right. There is no photo or string of words that can properly depict how beautiful Vatican City truly is. Just one small part of an encompassing country, it’s a destination in and of itself. I’m no Catholic, but St. Peter’s and the surrounding streets are enough to render anyone speechless. The smallest country in the world certainly makes a big impression. Rome has been my favorite city since my first visit here with my mom. It’s lively, it’s gorgeous, it’s filled with stunning works of art and architecture and it’s home to some of the best food in the world. I also love Italian culture. When my friends and I decided to take on Italy (both Rome and the Amalfi Coast) for our last break, I was really excited to come back and share my favorite city with them all. I led us up and down the Tiber from Vatican City to Trastevere, making sure to return to my favorite restaurants and check out all the main sites like the Piazza Navona, the Trevi Fountain, the Pantheon and (my favorite) the Colosseum. We trekked in and out of Rome’s winding, narrow streets, checking out different pockets of the city as we went. One of the strangest and best things about Rome is simply the idea of it all: the notion that my friends and I can hop on a plane and land in a city that’s been there, growing and changing for thousands of years — amid the coming and going of different populations — and just walk around and see it all. It doesn’t seem possible. It’s wild. After three nights in the eternal city with no major hiccups — other than a broken shower grate that flooded the apartment we rented, resulting in a heated argument between myself and our extremely Italian landlady — we made our way to Termini Station to head to the Amalfi Coast. Our train snaked its way through the gorgeous southern Italian countryside. We passed mountains, farms, fields and dozens of colorful villages before reaching Naples. From there we hopped another train to Salerno and then got on a packed bus to Conca dei Marini, our vacation spot for the last three days of break. The Amalfi Coast is gorgeous, rain or shine. Houses, restaurants and shops jut out of the mountains that rise above the shore. Roads wind for miles up above the Mediterranean. The house we rented was tucked away down a set of stairs in a sleepy village with a view of some neighboring houses’ red clay roofs and a slice of the sea — not a bad way to get away from the hustle and bustle of London. 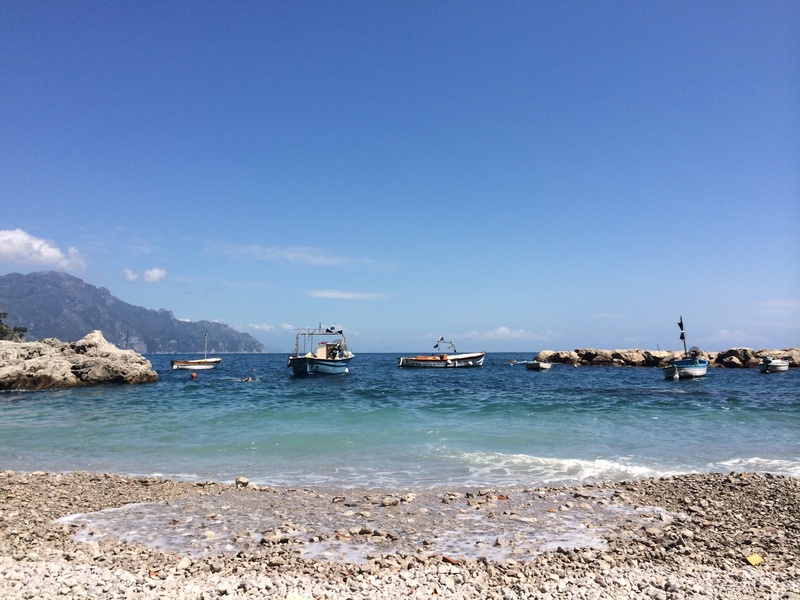 Amalfi, stopping along the way to grab lunch on the water and go to the beach in a secret cove we found. It has been amazing checking out two distinctly different parts of one amazing country for our last vacation abroad. My roommate and I decided to ditch city living for the weekend and to head off to the Irish countryside for a nice visit with her aunt and cousin. However, to get there, we had to do the unimaginable — fly with Ryanair. After hearing horror story after horror story about their inflexible booking, jam-packed planes and poor customer service, we were hesitant (to say the least) to book our tickets. Eventually, though, we took the plunge and ended up with two seats on one of their infamous blue and yellow planes. To say the landing was shaky would be an understatement, but the trip wasn’t actually all that bad — their rebranding efforts must be working, because we really didn’t have any problems. After we landed, we were greeted at the airport by my roommate’s family and had a really fun and relaxing night at their adorable house in Limerick, Ireland. I played with their two cats, drank lots of wine and watched Animal House before going to bed to get some shut-eye for a Saturday of sightseeing. We started the day off right with an Irish breakfast that included eggs, sausages, white pudding, toast and a strong cup of Irish tea. Apparently, the whole country is divided between Barry’s tea and Lyons tea (My roommate’s family is pro-Barry’s). After breakfast, we drove up the western side of the country toward the Cliffes of Moher, listening to the Munster rugby game on the radio all the way. Munster is my roommate’s family’s preferred team and one of four professional provincial rugby teams in Ireland. This weekend, they competed in the quarter-final round of the Heineken Cup. We stopped at a pub for a pint and to watch the second half of the game on television. We had a plan to stop in a tiny little town but upon doing so, were told that the one pub in the entire town with a television wasn’t going to have a subscription to Sky Sports Network until Monday, so we kept on driving to a slightly bigger town and set up camp there instead. Munster won handily over Toulouse and advanced to the semi-final round. The main event of the weekend, however, was our trip to see the stunning Cliffs of Moher in County Clare. 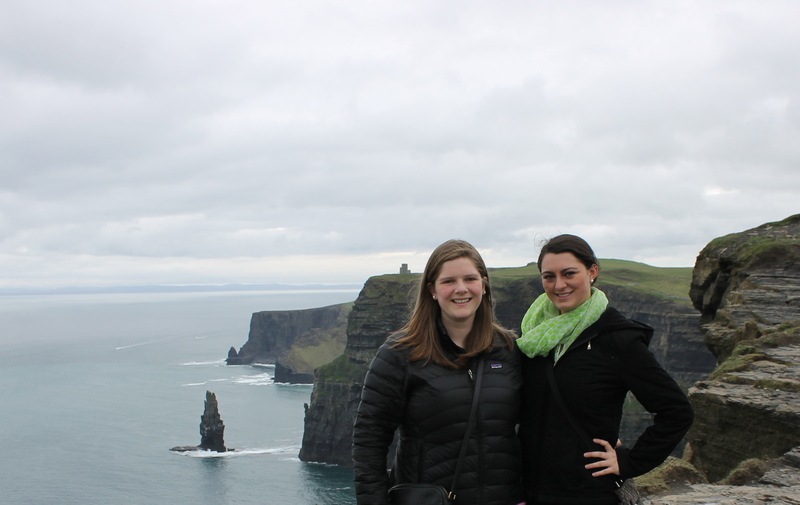 I had long heard my roommate’s stories of her dad daringly hanging over the edge of the cliffs and about the ragged coastline, so I was excited to see them in person. They did not disappoint! We had a great day walking up and down the cliff walk. Later that night, we headed to the pubs downtown and got to see a traditional Irish music session, where a few musicians gather around a table and play Irish music for everyone (my personal favorite is “Whiskey in the Jar”). A local band called The Lemon Suckers got on stage to end the night with an awesome set of covers. It was really fun and the atmosphere downtown was perfect after Munster’s big win. It was great to spend a few days in the gorgeous countryside and also to curb our spending — if only for a little while. I joke about it, saying “Moher money, Moher problems,” but the amount of money that we’ve all spent is pretty horrifying — we’re all getting a little nervous that we won’t be able to afford our last few weeks here. Still though, we all agree that even if we all go bankrupt, it will have all been worth it. This got me thinking, almost at once: is London really home? At what moment does the line between “tourist” and “resident” blur? Is it when you no longer need to refer to the subway map? Is it when you get used to everybody’s accents? Is it when you start taking your city for granted? Luckily, I’m not the sort of person the latter can happen to. I still wander around South Kensington, craning my neck to take in every little detail like it’s not all going to be there when I get back. While none of it feels new anymore, it’s still breathtaking in its own right. To this day, I’m in awe that some of it belongs to me — at least for a little while. I’ve been here for 82 days and I’m still having new experiences all the time. Whether it’s visiting a new place, meeting someone new or learning a new British custom, I’m constantly taking in new information. Still, I feel like I really do have an established place here — I’ve got my day-to-day routine, my ever-changing schedule and my own little network of people. My job helps with this, of course. Every day, I’m in my office from 9 a.m. to 5:30 p.m. doing tasks, interacting with people, watching projects begin and end. I’ve got go-to lunch places and little jokes with coworkers. And yet, I’m not convinced that it’s my right to say that London is my home. What makes London so homey is not that it’s beautiful or comfortable or even “Americanized” — it’s the people and my life here. It’s having a job in downtown London that I commute to and from every single day. It’s that the people at the coffee shop next door know my order and my coworkers know how I take my tea. It’s that I love my friends here and feel extremely lucky to be with them, both in London and in our travels. It’s that I know where and when to go. Isn’t this what this is, though? Sure, we have a privileged life here in London, living in beautiful South Kensington and traveling every weekend, but it’s come to be our own little niche of the city. For these four months, this is and has been our reality, and I’ll be sad to see it go. Until the end of April, I’m going to keep enjoying it. As soon as I stepped off the plane at Heathrow Sunday evening, I wanted to be back in Paris. The city of lights is absolutely breathtaking, from the Eiffel Tower to the Louvre to the Pont de l’Archevêché to the Seine. 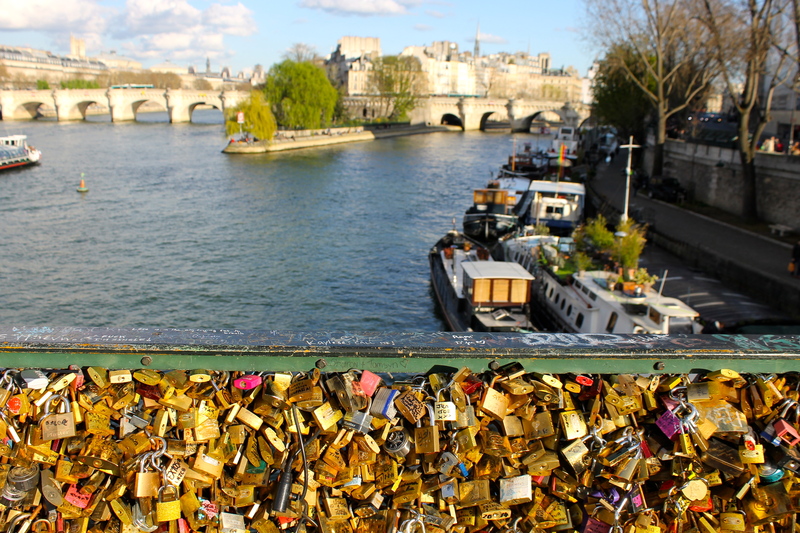 I have visited some amazing places in my life and can enjoy any city, but Paris was like nothing I’ve ever seen. Also, don’t believe what you hear about Parisians — they’re wonderful. After dusting off my French skills, I got to put them to use a little bit between talking to waiters, asking for directions and navigating the metro. We arrived on Friday night and left for our respective daytrips on Saturday at just after 7 a.m. (My friends wanted to go to Disneyland Paris, but I refused and decided to go to Versailles by myself instead). I took a quick trip on the metro to Versailles, which sits just outside Paris, and took a tour of Louis XV’s and Louis XVI’s apartments and the Royal Opera at the palace before venturing off on my own to check out the other areas and the massive gardens. The gardens stretched for miles and easily could have taken a few days to cover if you did a really thorough job. My favorite part of my visit to Versailles was either the Hall of Mirrors (a section of the castle that captures the true opulence of the palace) or walking around the surrounding town. There were adorable boutiques, boulangeries everywhere you looked, nice townspeople and pretty houses. It was sort of nice to do my own thing for a day and to do some sightseeing on my own time, even if it took a few hours to get used to. It was definitely worth the daytrip, but I was glad to get back to Paris — I spent the rest of the day exploring the city and even made a friend with whom I shared a long, leisurely lunch near La Sainte-Chapelle. Later on, I ended with a fun night in le quartier Latin, an area known for its nightlife. Just before bed, we leaned out the window of our apartment, listening to Édith Piaf and enjoying the gorgeous view of the city. The next day, we got up and headed straight for the Notre Dame. I bought a book at the famous Shakespeare and Company and we had a traditional Parisian breakfast. We wandered around the neighborhood before checking out the Avenue des Champs-Élysées, famous for its shops, restaurants and cinemas and its proximity to L’arc de Triomphe. Some of us trekked up to the top and enjoyed a 360-degree view of the city. Last on our list was the Eiffel Tower, an iconic structure that is absolutely breathtaking in person. In a Kodak moment unlike any I’ve ever witnessed, a rainbow broke out just beside the tower as we approached, which practically started a tourist stampede in everyone’s efforts to get the perfect picture. After just a few days in France, I can officially say, “Paris, je t’aime.” My mom and I have a Paris trip planned for the end of April and I’m really looking forward to returning and experiencing more of the city (and using more of my French!). 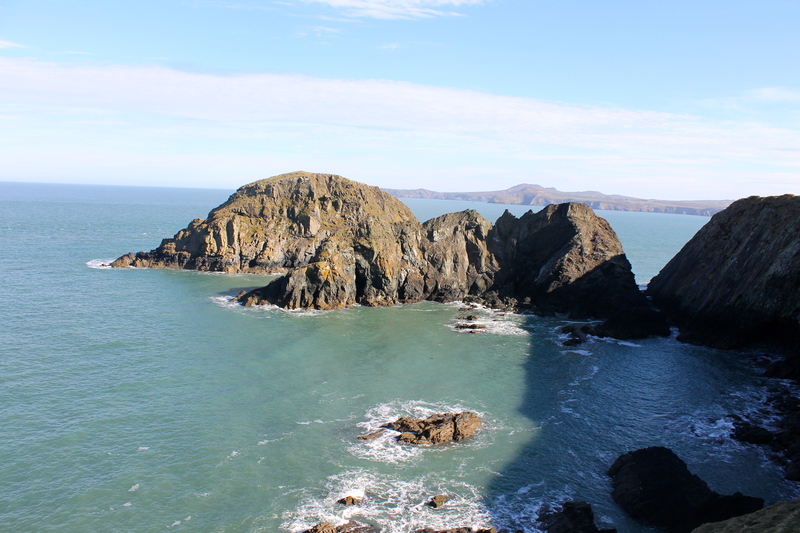 On a total whim, my friends and I signed up to go on an “adventure trip.” We found ourselves in Pembrokeshire, middle-of-nowhere Wales hiking, sea kayaking and coasteering around its rocky western coast. I’ve been a big skier for forever and played lots of sports in high school and for one year in college (before I transferred to Boston University), but I don’t really consider myself to be an outdoorsy person. I’d rather wander around a city than hike up a mountain any day. However, it was really nice to switch things up from traveling around London and a lot of Europe’s other major cities. It was quite an endeavor getting to Pembrokeshire; we took a cab to Paddington Station, then one train, then another, then a mini-bus, then another cab for a journey that doesn’t seem all that far on a map. To create a mental image of this town: there is absolutely no cell phone service and, at least to my knowledge, more sheep and cows than people. We all crammed into a cute hostel operated through the adventure company Preseli Venture that we booked with and got some shut-eye before waking up bright and early to get going. On another whim, we decided to take the long hike rather than the short one and ended up hiking all around Wales’ breathtaking coast. The ocean was a shockingly bright blue and the hills and rocky shoreline were stunning, too. It looked like something out of a movie set. After finally getting back to our hostel, we ate a quick lunch and got dressed (we all had to wear wet suits, helmets and water shoes) and went sea kayaking. I’ve had a fear of kayaks since I was seven, so for me to do this was a pretty big deal, but I had no complaints (even when I capsized after about five minutes on the water… yikes). It was a blast to get out on the water on a gorgeous day. We even saw a seal! After a long night of hanging out with the rest of the people on the program inside the hostel’s living room and out by the campfire, we turned in for the night and got some sleep for the weekend’s main event: coasteering. Coasteering, which I had never done before, is a combination of rock climbing, swimming and cliff-jumping (which is exactly what it sounds like). The water was ice-cold, but our wetsuits, neoprene shirts, shorts and “water socks” in our sneakers did a good job keeping us warm. We scrambled across rocks and swam and walked through caves before learning how to jump. The first jump was little and shallow, so we all had to belly flop into the water. Then, we did a bigger jump, then another, and then jumped the grand finale: we plunged into the icy water from 32 feet. It was pretty intimidating to stand on the edge of the cliff looking down into the ocean way below us, but it was so worth it. My friends and I did the last jump twice before scrambling up the crest of the cliff and hiking back down the backside to the beach. Completely exhausted (and exhilarated), we made the long trek back to London Sunday afternoon. It was amazing to get some fresh air and explore part of a country I never would have visited if I hadn’t chosen to study in the U.K.
Thirty hours doesn’t sound like that much, but it ended up being just enough. Barcelona, two hours by plane from where I’m studying in London, is a gorgeous, dynamic city that I was lucky enough to see this weekend. 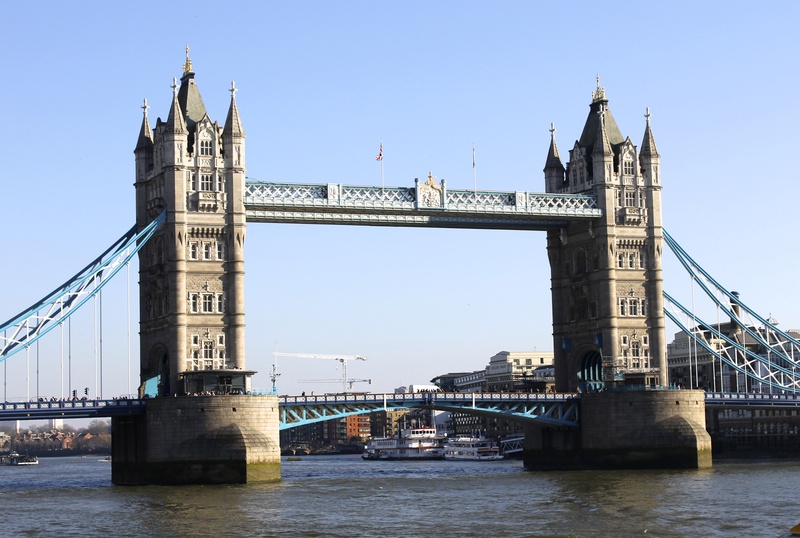 While it was a short trip (we arrived at our hostel at 1:15 a.m. on Saturday and landed back in London at 8 a.m. on Sunday morning), we managed to squeeze an unbelievable amount of sightseeing and fun in. After an extremely late dinner and drinks experience at a bar by our hostel, we went to bed in our 8-person room at 3:30 a.m. and woke up at 9 a.m. Not to be deterred by a lack of sleep, we got up and out quickly and went straight to Casa Batlló in the heart of Barcelona. The museum, a previously built house resigned by architect Antoni Gaudí (who, as far as I could tell, is basically worshiped by Barcelona’s residents and historians) in 1904, was well worth the visit. While Gaudí’s work isn’t traditionally beautiful, it is certainly fascinating to look at and unlike anything I’ve seen in the U.S., or anywhere else in my travels. Later on in the day, we saw Park Güell — which was free to enter after 6 p.m. — also designed by Gaudí and also very colorful and structurally interesting. There were tower-like mosaic structures, a mosaic dragon fountain and a huge mosaic lizard that has become a sort of symbol of the city. No trip to Barcelona is complete without a trip to the famous La Sagrada Família, also designed by — you guessed it — Gaudí. Still incomplete after more than 130 years, it is a Catholic church visible from miles away. While I personally think the church’s famous side (all four sides of the church are remarkably different and tell a different story) looks like a castle a child would make on the beach, it is extremely impressive in its scale and design. I could have looked at it for hours. We didn’t get to tour the inside, but it was hard to see and do everything we wanted in such a short time. My favorite part of the day was going up to Tibidabo, a mountain overlooking Barcelona. We took the metro and then walked up a steep hill to catch the Tibidabo Furnicular up the side of the mountain to its summit. There was an amusement park and a massive, beautiful church and a restaurant up at the summit. 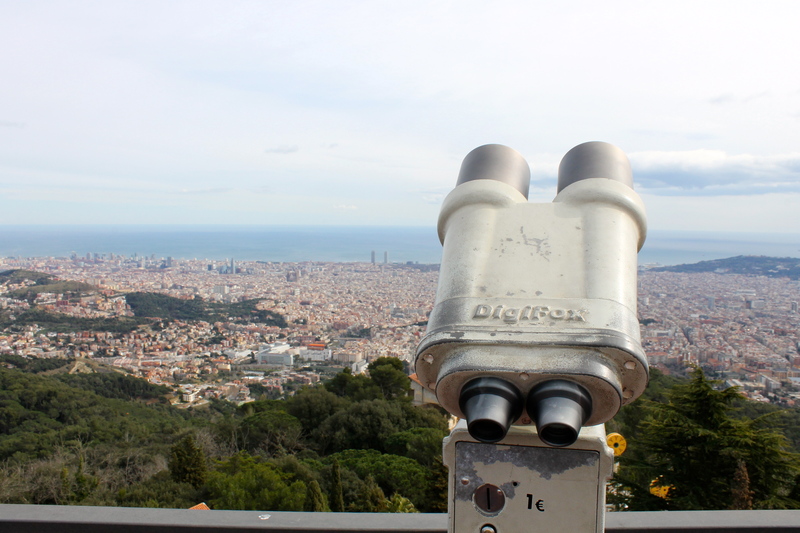 We got to see the most stunning views of Barcelona, the beach and the surrounding water. After all this and walking around the piers, the famous Las Ramblas and the city’s financial district, I researched paella restaurants and we ended up at Can Majo by the beach for dinner. We enjoyed raw oysters, white wine and paella “Can Majo” style that was, if you like seafood, life-changing. The seafood was extremely fresh and came to the table in an authentic paella pan. After dinner, we met up with my friend from high school and her friends who we stayed with at our hostel at Chupitos bar. Hundreds of “chupitos” (which is literally translated to “shots”) were the only items on the menu. From there we went down to Barcelona’s legendary clubs, which sit one by one right on the beach, before finally grabbing our bags and heading back to the airport. We hopped on the plane without going to bed and, upon our arrival back in London, had a full night’s worth of sleep. While we rushed around all day in a manner no Spaniard would ever dream of, I greatly enjoyed my time in Barcelona. I would love to go back someday, maybe when La Sagrada Família is finally finished. After an absolutely amazing week of travel, I’m back home and safe in South Kensington. My friends and I took spring break to the next level by traveling from London to Budapest, Hungary and then making our way over to Lisbon, Portugal. From there, we jetted on home and back to reality. Budapest, the capitol of Hungary and home to 2 million of the country’s 10 million total residents, is split in two by the Danube River. With “Buda” on one side and “Pest” on the other, it’s easy to see why people say the eastern European city has dual personalities: Buda is filled with beautiful old buildings like the Citadella and is comprised mostly of narrow, crooked streets while Pest is home to gorgeous, sweeping boulevards and boasts much of the city’s nightlife. We climbed up to see the Citadella and trekked over to Parliament as well, a sprawling building topped with dark red domes. After a long day of sightseeing, we went to Trofea Grill. Thankfully, it was delicious and well worth the money because we took a wrong turn, arriving finally after trudging through the enormous city park and most of the rest of Pest. The “ruin bars,” located in Pest not too far from the Danube, are amazing. Massive bars fill what used to be industrial space all along this district. The first ruin bar in Budapest was Szimpla Kert. With multiple floors with several rooms on each (including a wine bar, hookah lounge and dance floor), you could get lost inside forever, but you probably wouldn’t mind. The following day, we spontaneously decided to treat ourselves to “fish pedicures,” which are extremely popular in Hungary. I’m not really sure how to describe this without it sounding disgusting, but essentially, little tiny fish eat the dead skin off your feet while you sit in a spa chair, soaking up to your knees. My friend CJ, who had never had a pedicure before, said it was the best 30 minutes of his life. After that, we bathed in 100-degree water in Budapest’s most famous thermal baths, the gorgeous Szechenyi Baths, which was an excellent way to decompress before our four-hour flight to Portugal the next day at 5 a.m.
Lisbon, the capitol of Portugal, is stunning. I was shocked at how beautiful it was, nestled up against the Tagus River. Built up on seven hills, the houses and buildings (most topped with red roofs) seemed to be stacked up on top of each other, painted white, yellow or vibrant pinks and blues. All the streets and sidewalks were made of small square white stones and were so clean. We enjoyed an extensive walking tour through our hostel, Home Hostel Lisbon (which I would highly recommend to anyone visiting Portugal), on the first day. 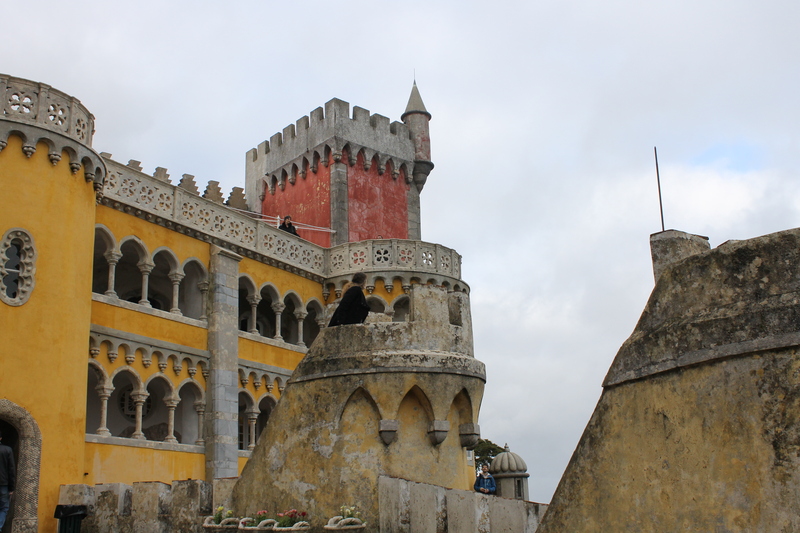 The second day, we took a short train ride to Sintra, Portugal, and explored the town and one of its castles, Pena National Palace. The castle, a bit of a hike, was worth the day trip with its mix of architectural styles and its views of the surrounding woods and Lisbon. After not particularly loving Budapest’s Hungarian cuisine, my friends and I were determined to have an authentic, delicious Portuguese dinner. We settled upon Taberna da Rua das Flores, a tiny restaurant with a 90-minute wait that was completely worth it. We ate the freshest seafood, the most delicious pork and the most decadent desserts (not to mention the homemade fresh fruit cocktails and the Portuguese wine). Some highlights included the steamed mussels, the salmon and scallop ceviche and the passionfruit cheesecake. While I am very glad to be back in my flat in London (and to start my internship tomorrow), I already miss Budapest and Lisbon. They were two of the most exciting and gorgeous cities I’ve ever visited and I know someday that I’ll be back. Edinburgh, home to less than 500,000 people, is an absolutely amazing city that I was lucky enough to visit this weekend (and if I can feel that way about a place just after an eight-hour bus ride from hell, you know it’s true). 100 mile-per-hour crosswinds (at least, according to our bus driver) engulfed our bus all the way from London’s Victoria Coach Station to Edinburgh, making it a thoroughly terrifying ride. Someone on the bus actually blessed himself about 30 minutes in. We finally arrived in the rain-soaked capital of Scotland at 6:20 a.m., wind-battered but not too worse for the wear. After a short trek through the gorgeous and deserted streets, we slept off some of our nerves at our hostel (Budget Backpackers, a really cool and off-beat place with surprisingly comfortable beds) and then got right to sightseeing. 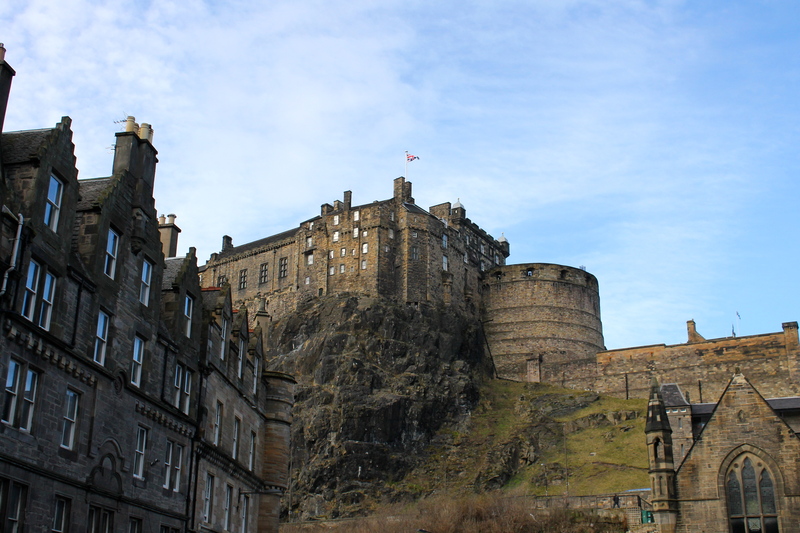 My roommate and I first wandered around Edinburgh Castle, an absolute must for any tourist in Scotland. The views from Castlehill and the summit of the castle were breathtaking and worth the price of admission on their own. We also got to see the historical dwellings of old Scottish royalty, the birthplace of Mary, Queen of Scots’ only son, James VI and an old jail that housed prisoners of war. Next on the agenda, after a pint at Deacon Brodie’s tavern and a delicious dinner at a bistro called Maxie’s, was a City of the Dead ghost tour. On a complete whim, I decided we should check it out and booked us tickets for the 8:30 p.m. walking tour, which took place mostly in Greyfriars Kirkyard. According to our tour guide, Greyfriars (a huge cemetery in downtown Edinburgh) has the highest concentration of dead bodies anywhere in the entire world. Pretty disgusting stuff, if you ask me, but definitely good fodder for a creepy evening. We got to walk in and around closed-off Greyfriars tombs and hear all about George Mackenzie, a ruthless man responsible for the violent deaths of thousands of Covenanters (members of the Scottish Presbyterian movement), whose spirit allegedly haunts Greyfriars and is responsible for seriously injuring nearly 400 of its visitors since Mackenzie’s tomb was disturbed by a homeless man in 1999. The existence of this “spirit” is highly debated; whether it is just a spooky legend, a series of coincidences or a real “poltergeist,” I guess we’ll never know. After a fun night in the Grassmarket area of Edinburgh (once famous for its public hangings, now known for its wide range of pubs, hostels and hotels), we woke up early to climb up to the highest point in Edinburgh, referred to as “Arthur’s Seat.” After an extremely muddy hike, we reached the summit and saw all of Edinburgh and its stunning scenery. I was so impressed by every landmark in the area — it seemed like every building we encountered was more beautiful than the last. All in all, I had an amazing weekend in a gorgeous, historical city.